Anett Bailleu received her PhD from TU Berlin – Technische Universität Berlin. In her research she specialized in Medical Engineering and Process Measurements Technologies being involved in different R&D projects, such as the development of an implantable cardiac assist device and several ultrasonic systems. 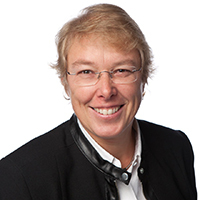 For over a decade Anett Bailleu was employed at Bundesdruckerei, the German Federal Printing Office, where she focused on security features, sensor systems for high speed detection of new features, and the improvement of detection of biometrical and liveness features. Since 2012, she has been a professor at HTW Berlin. 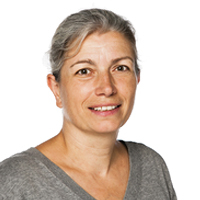 Anett Bailleu is a founding member of CBMI, the Center of Biomedical Imaging and Information Processing. After a scientific education and career in research and teaching at TU Berlin – Technische Universität Berlin, Sophie Kröger spent four years in industry. In 2010, she returned to academia and became a professor at HTW Berlin. She offers basic courses in Experimental Physics as well as interdisciplinary elective courses for several Engineering study programmes. Besides teaching she is involved in research in different fields, such as basic research in Atomic Physics and applied research in Laser Technology. In her free time, Dr. Kröger is engaged in one of HTW Berlin’s music groups playing the tuba in the big band. 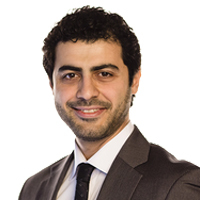 After studies in Electrical Engineering and Information Technology at TU Darmstadt – Technische Universität Darmstadt and State University of New York at Buffalo, Massoud Momeni obtained his PhD in the field of Analog and Mixed-Signal VLSI with a focus on Discrete-Time Low-Voltage Delta-Sigma Modulation. He subsequently joined Robert Bosch GmbH at Reutlingen as an IC Design Engineer for Safety Electronics where he also led the development of airbag system ASICs according to ISO 26262 as an Engineering Project Manager and Safety Manager. 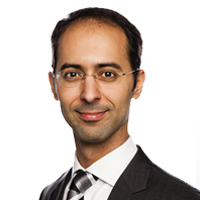 In 2015, Dr. Momeni joined HTW Berlin as a full professor in the field of Microelectronics. Seyed Sagheby acquired his PhD from the TU Berlin – Technische Universität Berlin. From 2009 to 2015 he worked at “Hermann-Rietschel-Institut” of TU Berlin, the worldwide oldest research institute of its kind in the area of Building Technologies. His positions included lecturer, research associate and project manager. Since 2015, Dr. Sagheby has been a full professor in the degree programme Building Energy and Information Technology at HTW Berlin. Currently he is giving lectures and conducting research in the areas of Sustainable Building and Rational Use of Energy in Houses. Horst Schulte holds a Diplom in Electrical Engineering and a PhD in Control Engineering. He joined the Bosch Group in 2005 where he worked in R&D projects in the field of Modeling and Advanced Control of Actuators, Power Systems and Drive Trains. 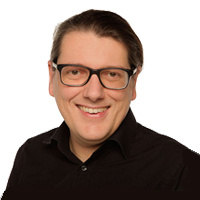 Since November 2009, he has been a full professor at HTW Berlin. His research interests include Nonlinear Controller Design, LPV and Sliding-Mode Techniques, Robust Control System Design, Active Fault-Tolerant Control with industrial applications. Dr. Schulte is an editor of the Springer Journal Intelligent & Robotic Systems and a member of the IFAC Technical Committee Fault Detection, Supervision & Safety of Technical Processes.